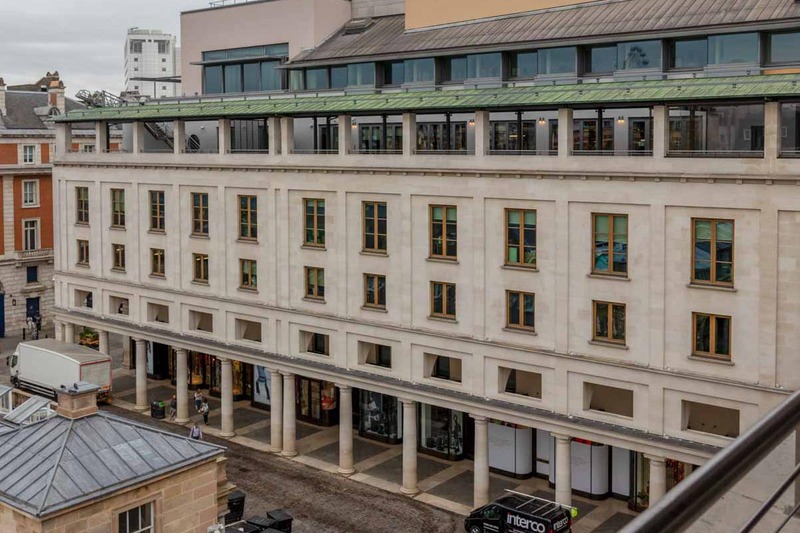 London’s Royal Opera House is in the North East corner of Covent Garden. 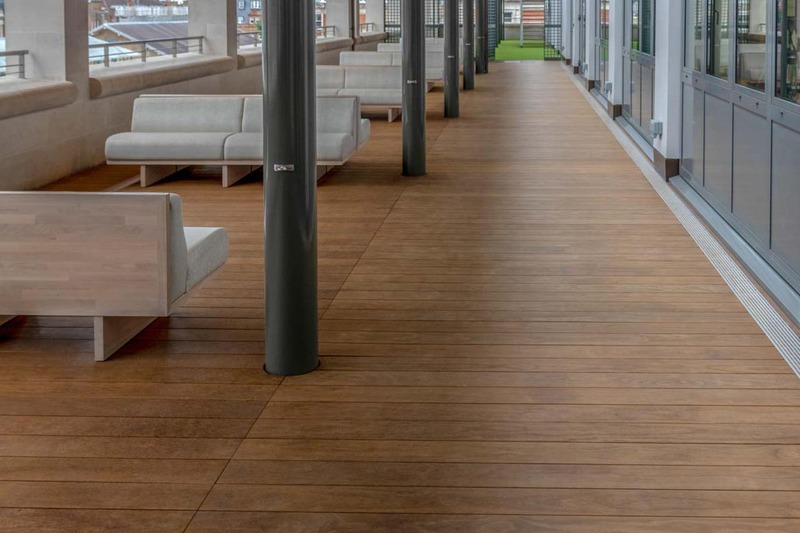 Overlooking the Piazza is a fourth floor decking area of around 600SqM. 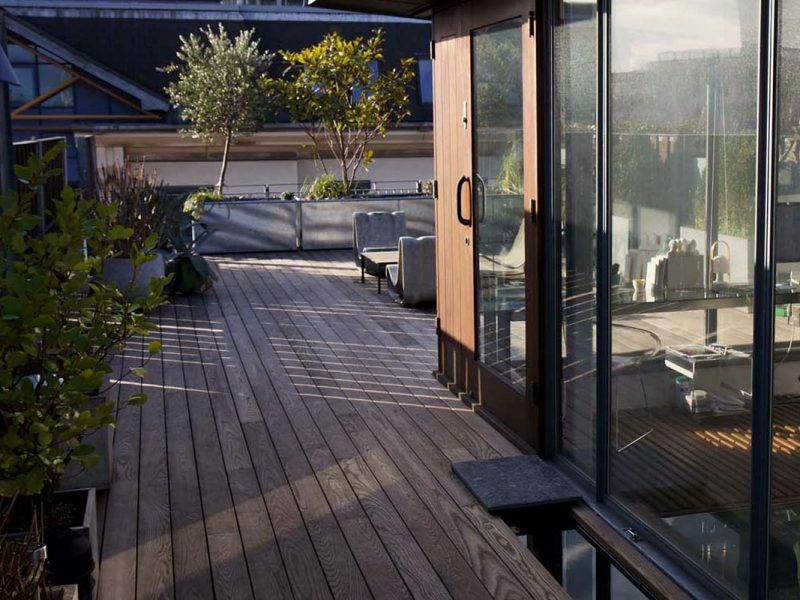 For the last 25 years this was a hardwood deck, but when Stanton Williams Architects were asked to oversee the redevelopment of this area a new deck was an integral part of the plan. 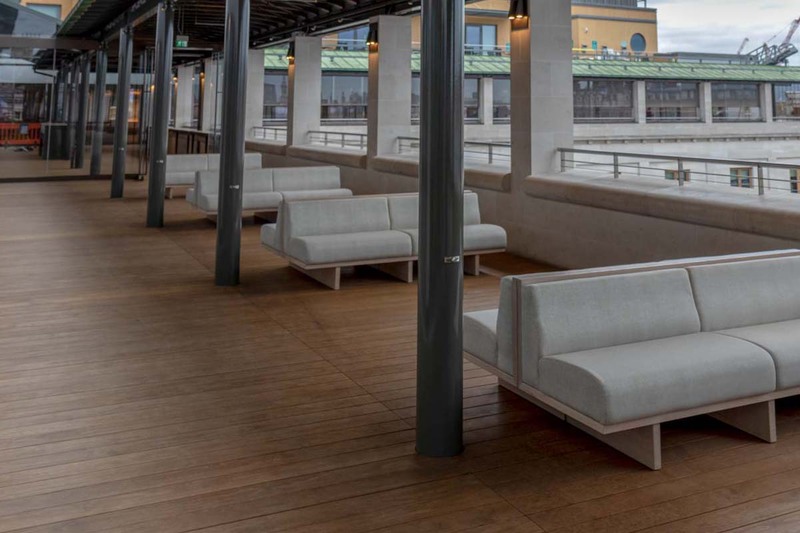 Originally a rest area for staff at the Royal Opera House, the new decking area was to be re-purposed as part restaurant, part relaxation area, part meeting space and part open air dance training studio. 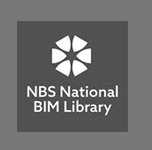 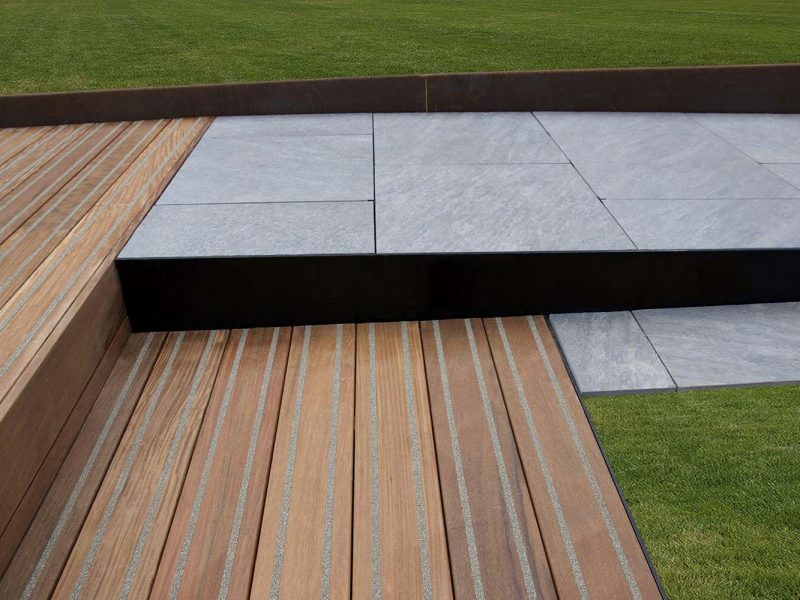 Clearly the demands upon the new decked surface were going to be more varied and more extreme than the last 25 years had witnessed, and because it was to become a partly public space there were additional concerns from a technical and aesthetic perspective. 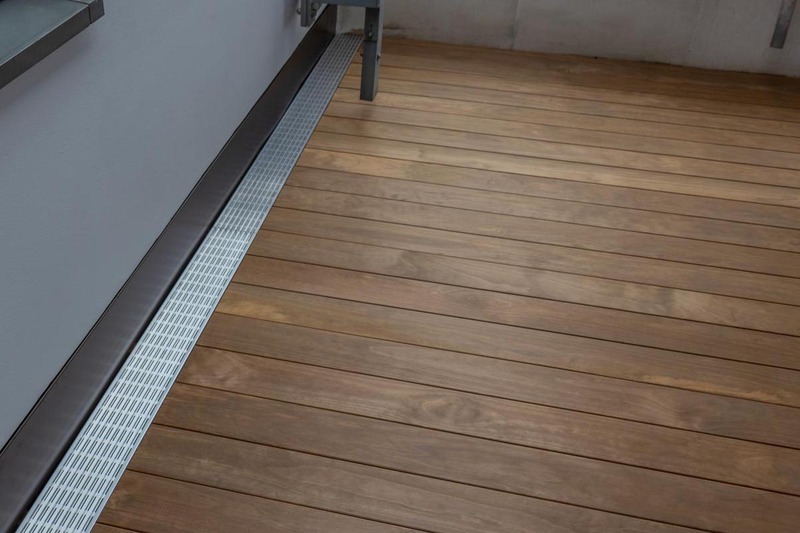 With all this in mind, outdoor flooring specialists Alfresco Floors were asked to consult and, having examined the site in detail, their recommendation was to retain the existing joist structure and use their Grad ‘invisible fixings’ deck system to provide a new treated softwood surface. 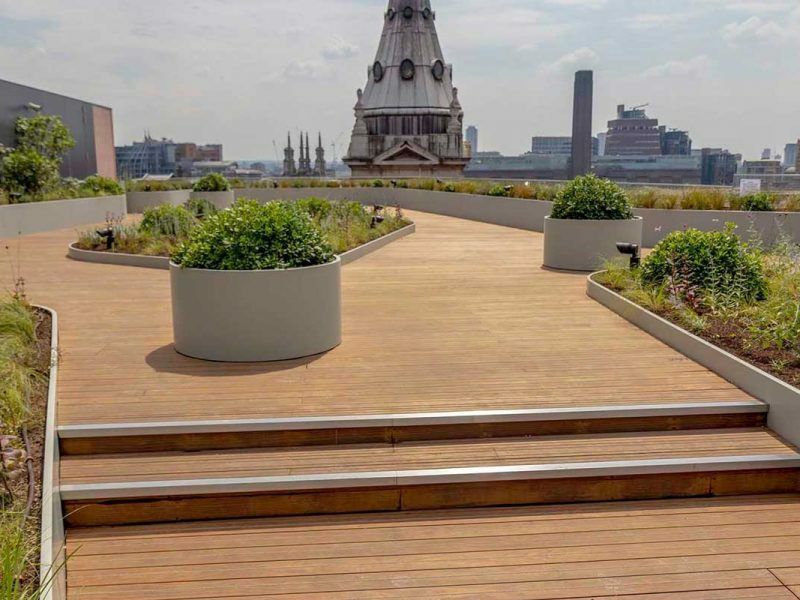 The extremely low build up height of the Grad system also meant that Alfresco Floors could install all the rails, clips and boards onto these existing joists without much change to the original floor height. 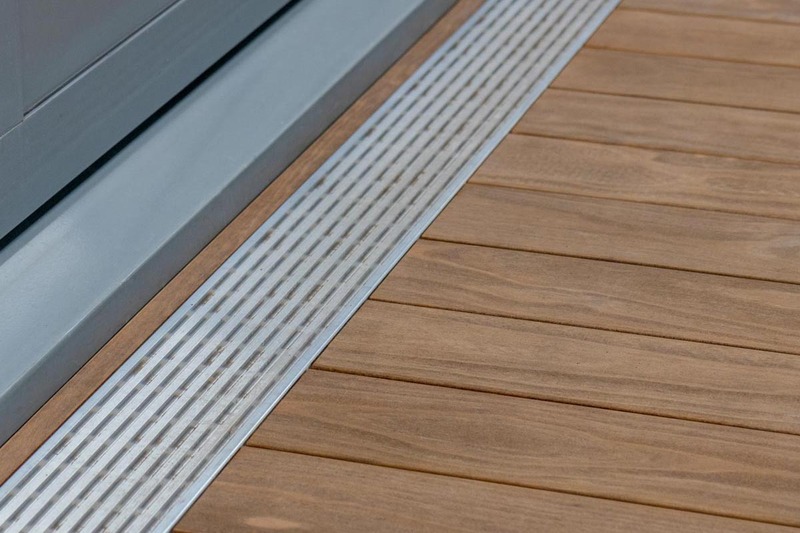 The Grad system uses a patented clip fixing which locks into specially milled grooves along the underside of each board, so it leaves no fixings on show either on the surface or even in the gaps between each board. 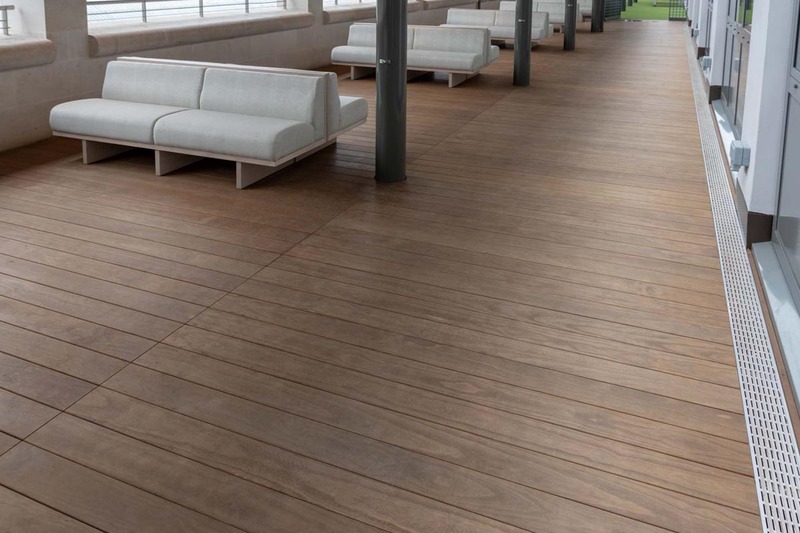 There are currently four treated softwoods which are manufactured to fit Grad – Thermo-Pine, Thermo-Ash, Accoya and Kebony. 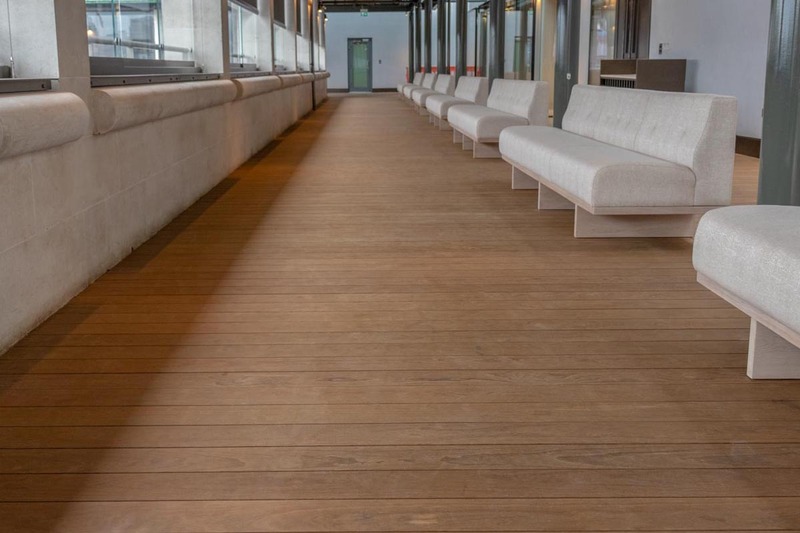 All these timbers are specially treated to last at least as long as the old hardwood deck had survived, but Stanton Williams decided on the rich brown tones of Kebony as their favourite option, particularly having seen how it eventually weathers down to a soft silver surface. 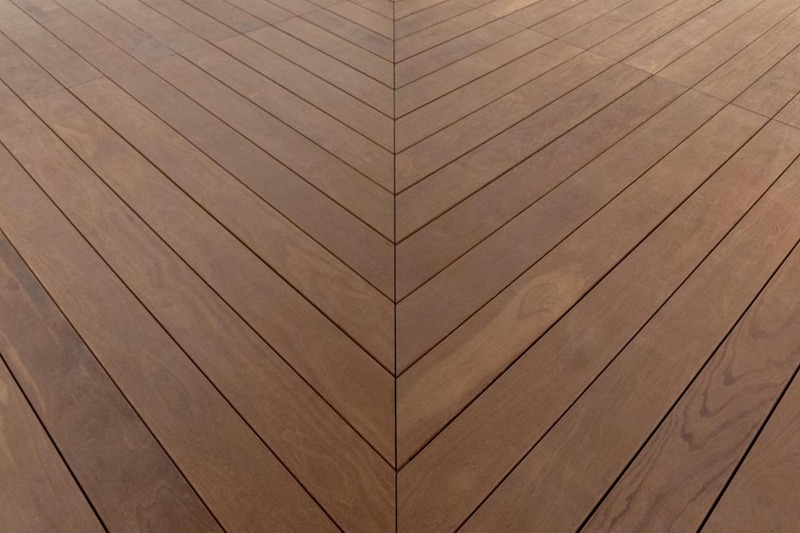 Another advantage that treated softwoods have over hardwoods is that you can rely on the availability of long length boards. 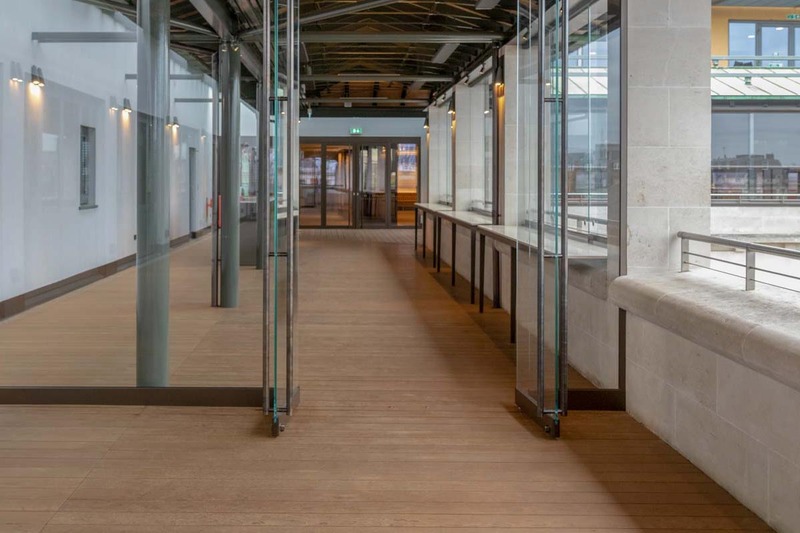 The deck design for Royal Opera House involved long runs of 3.6m boards either side of a central join, and because this timber won’t expand or contract very much, the layout was installed with much tighter gaps than a composite alternative would have allowed. 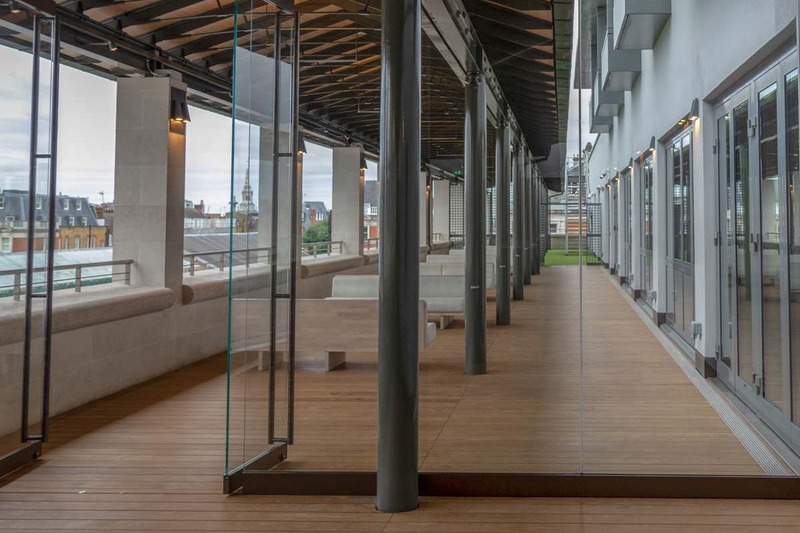 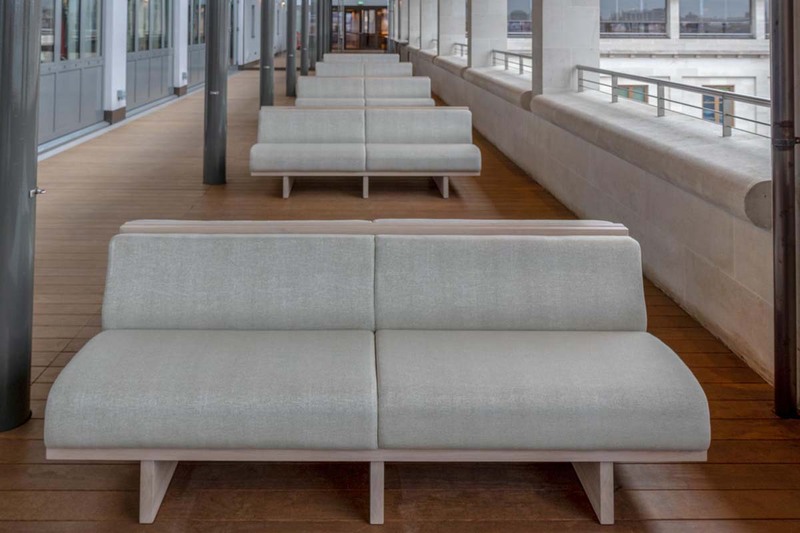 The finished deck is part of a major transformation of the Royal Opera House by Stanton Williams and has been open to the public from September 2018.